British possessions in North America. 1 : 21500000 Reichard, C. G.
Dominion of Canada - political. 1 : 23000000 Lange, Henry, 1821-1893. 187. Canada, Political. The World Atlas. 1 : 15000000 USSR (Union of Soviet Socialist Republics). 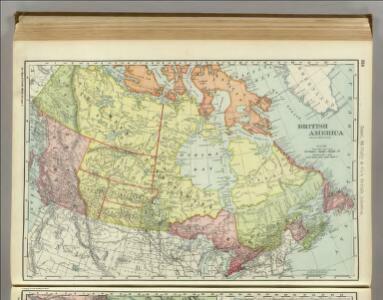 British possessions in North America / drawn and engraved by J. & C. Walker. America Settentrionale Inglese e Russa, Groenlandia, Islanda, Terre Artiche. Northern America, British, Russian and Danish Possessions in North America. 1 : 17750000 Colton, G.W. 1 : 20000000 Colton, G.W.